After a hot and humid summer, the cooler temperatures of autumn in Saugatuck are more than welcome! There’s still plenty of beach, boating, and golf time left, but as we ease into fall, there is a different side to explore in the Saugatuck and Douglas area. 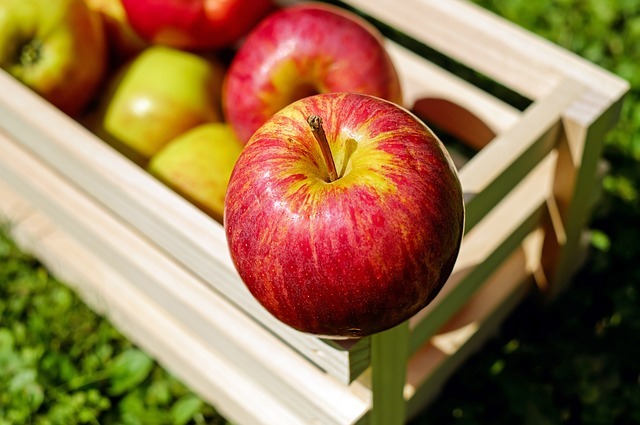 Michigan is known for its apples, and our local orchards in nearby Fennville have all kinds of harvest fun. Take a hayride or try your luck in the corn maze at Crane Orchards, and grab lunch and a gallon of cider at Crane’s Pie Pantry next door. Or take a tour at Virtue Cider to learn how hard craft cider is made, then treat yourself to a flight in the tasting room. If you’re more of a beer fan, never fear: head to Saugatuck Brewing Company for a full tap and live music every Friday and Saturday night. Autumn is a great time to check out the hiking trails along the dunes, including Saugatuck Dunes State Park, the Saugatuck Natural Area just off Oval Beach, or the dune climb at Mount Baldhead. Cooler temps let you scale the dunes without breaking a sweat (and the lake’s still warm enough for wading if you do). As the maples and birches start flickering with fall colors, the beaches and trails become your own private space to listen to the wind and the waves. As the nights get longer, this area starts to embrace the Halloween spirit. The Felt Mansion holds spooky nighttime tours, and Halloween itself is an absolute hoot. Saugatuck hosts an annual family and pet parade in the afternoon, and Douglas cuts loose with its own legendary Halloween parade after all the little monsters go to bed. Whatever you choose to do, you’re never far away from the fun when you stay at Twin Oaks Inn. Give us a call and reserve your place in the middle of it all.